A child’s language, is an international language! You are here: Home / A child’s language, is an international language! 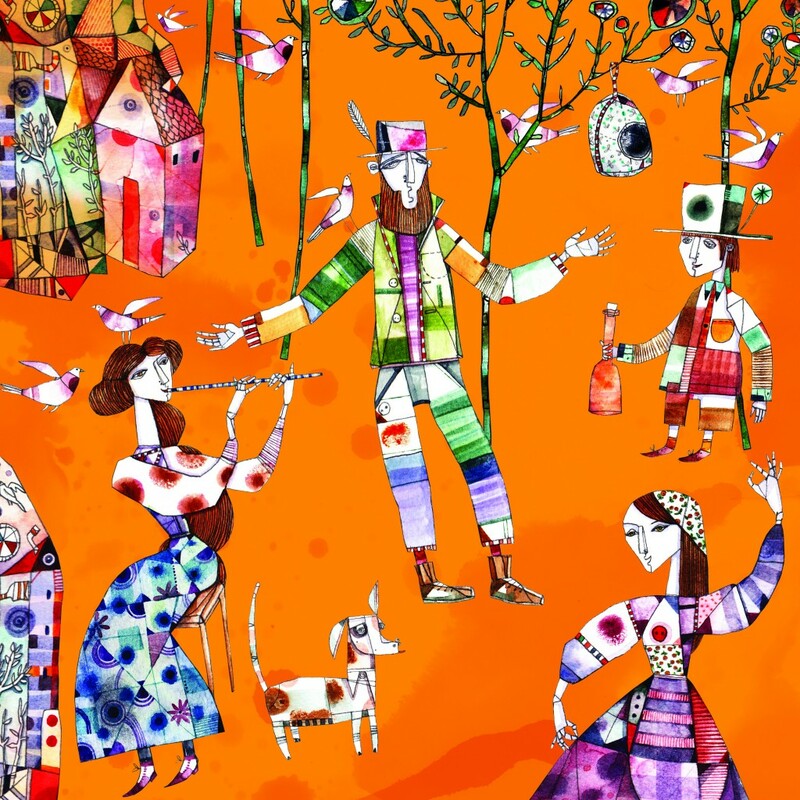 An interview with Ehsan Abdollahi, illustrator of A Bottle of Happiness. One day a poor young boy decides to seek a new story and this leads him to the rich people’s market place. He would love one of the ripe pieces of fruit, but what can a poor boy trade? Is it possible to bottle joy and happiness? 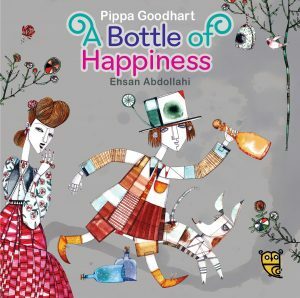 A Bottle of Happiness, written by Pippa Goodhart and illustrated by Ehsan Abdollahi is going to be published in October 2016 by Tiny Owl Publishing. 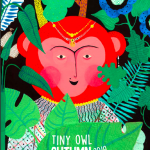 It is the first title of an intercultural project started by Tiny Owl, where a British author collaborates with an Iranian illustrator (or vice versa) to develop a picture book. 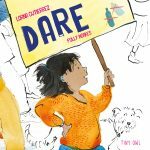 The author and the illustrator see the story from their own cultural angles and reflect them in the book. 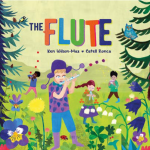 Below you read a short interview with Ehsan Abdollahi, the illustrator of this book. (See an interview with Pippa Goodhart, the author, here). 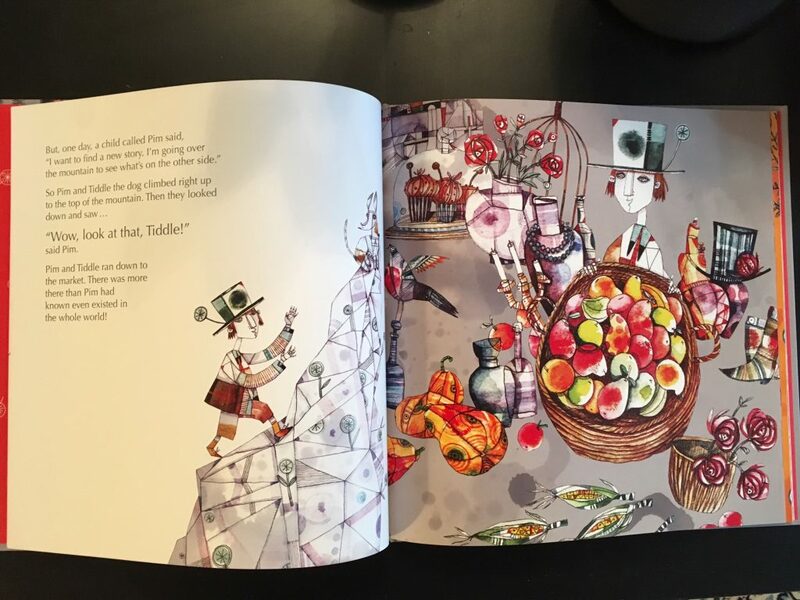 Ehsan has also illustrated When I Coloured in the World, published by Tiny Owl. 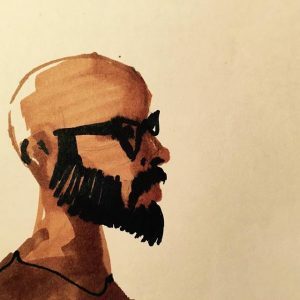 Ehsan, how did you start your work as a children’s book illustrator? I started focusing my work on children first in two issues of the Badbadak (Kite) weekly which is a children’s magazine in Iran. The first book in which my work appeared was Who Is Like Whom? and then Yule-Night Gathering, which was bundled with a game which engaged the kids directly with the story. 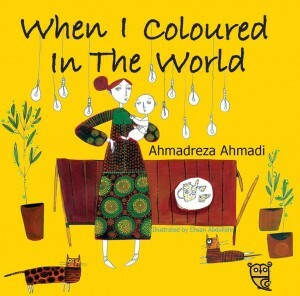 After that I worked on Ahmadreza Ahmadi’s books They Call Me Blue-Eyes, and Nagahan Cheraghha Roshan Mishavand (Translated and published in the UK by Tiny Owl as When I Coloured in the World) and I think working together with him was a turn-point in my professional career. I felt a kind of closeness to his pen, and our work together was smooth and pleasant. When I Coloured in the World still creates a child-like joy in me and I personally feel very good about the book. Was this your first experience with a non-Iranian author? How did you like the story? Did you see any difference between a British storytelling and an Iranian one? I might be able to explain this better with an example: if you put two kids with different nationalities next to each other, they will be able to communicate very quickly and easily. I think both the author and I were feeling the same thing with this book. We were both using a child’s language, which is, in my opinion, the language of love. A Bottle of Happiness is about two different towns, one rich, but not so happy, the other happy, but not so rich. How did you reflect the spaces in your illustrations? I had to find a way to show the emotions of two different communities next to one another. I decided not to use any skin colour at all, and simply used the paper-colour to show the skin. Since the book was meant for an international audience, I also decided to design the character’s clothes to be a mix of clothing from different parts of the world; I enjoyed designing the mixed clothes quite a bit myself, since I am also interested in fashion design. The richer community has fuller and more sophisticated clothing. But I really can’t say that I designed rags for the less fortunate community, no!! They are both beautiful, even the worn, short, and tight clothes I designed, so that the reader would enjoy looking at them. The poor people in the story are happy people, and through this aesthetic I gave them more happiness. I had to stress the atmosphere in the whole space. I used orange for the happy people, and I used grey for the sad spaces and red to show love and friendship. 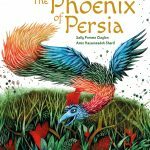 You have said before that in illustrating this book, you were inspired by the sharp colours in the clothing of southern Iran. Can you say more about this? Considering that since long ago the south of Iran has been a centre for trade, Indian cloth-of-gold and Chinese silk have become part of people’s clothing. This has become incorporated with the people’s native tailoring style. Because of this, sharp colours are a defining element of Southern Iranian characteristic. Are you happy with the outcome of the work? This was a very interesting experience for me. I really enjoyed it. I hope that anyone who reads or looks at this book in any part of the world enjoys it too.